There are lots of zucchini and other veggies coming from our garden right now, and it's really exciting. It can also be a challenge to find a way to use them in recipes, and to make sure they don't go to waste. 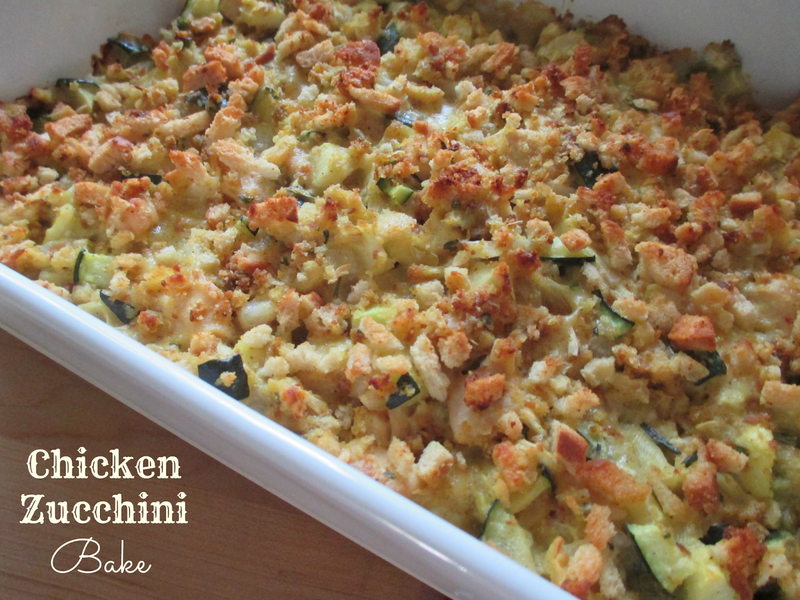 This recipe for Chicken Zucchini Bake uses four cups of chopped zucchini, a box of stuffing mix, and a couple of cups of cooked chicken. It's easy to make, and is super good. When I made it last night for dinner, I was hoping for leftovers, but no such luck. It was really nice though to see my grandchildren eat this dinner up, and get some of that good zucchini in their bodies. Of course, if you don't have a garden filled with zucchini, the grocery stores and farmer's markets are filled with them. This dish is great-tasting, easy to make, and when you have leftovers, reheats beautifully. 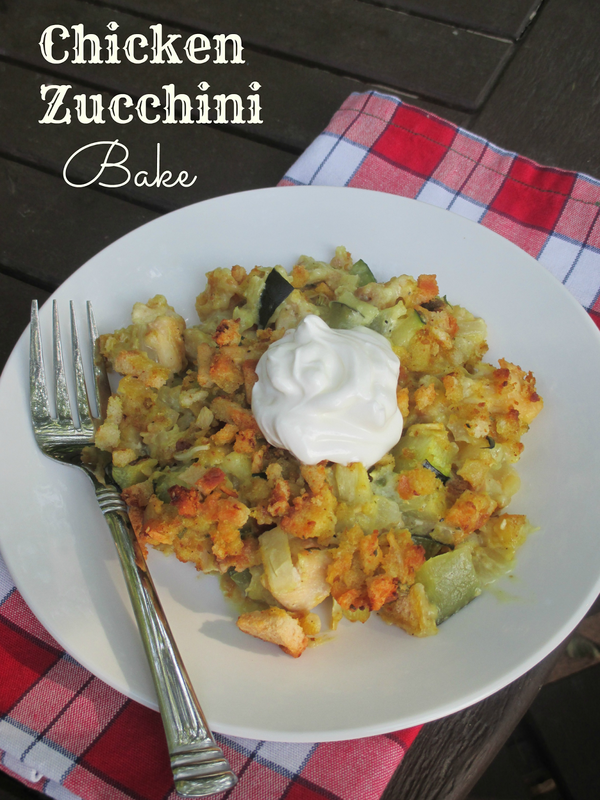 And even if you are not a zucchini lover, try this recipe and you just might change your mind. In a large bowl, combine the stuffing mix and melted butter. Set aside 1/2 cup of the of the mixture for the topping. Add the zucchini, chicken, soup, onion and sour cream to the remaining stuffing and stir together well. Place the zucchini mix into a greased 9 x 13 glass baking dish and spread out evenly with a spatula. Sprinkle reserved 1/2 cup stuffing mix on top and bake uncovered for 45 minutes. I originally posted this last August, but since it's such a great zucchini recipe, I wanted to share it with you again. Enjoy! !